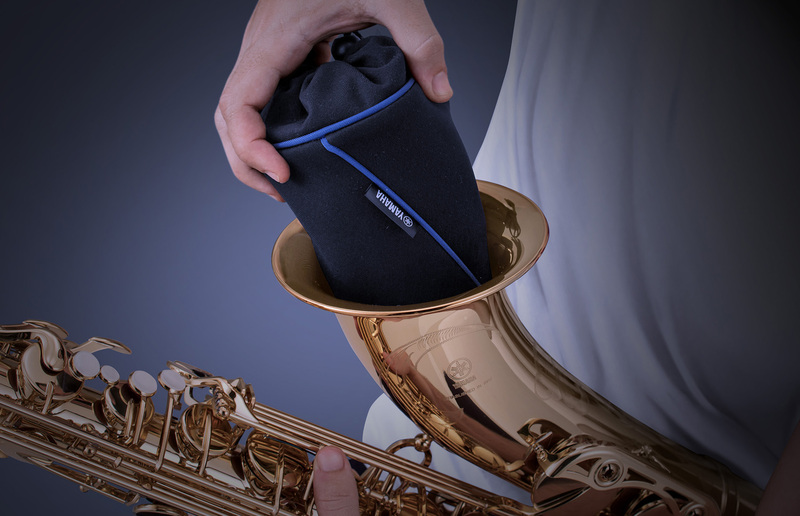 This pouch is used by saxophonists when they introduce the saxophone mouthpiece and neck inside of the body of it, and then they can use a compact case. 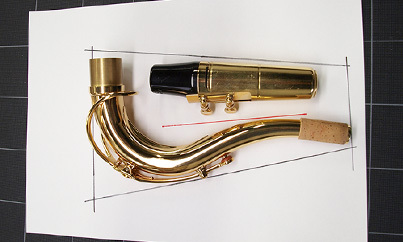 The twist form inviting the user to fix screwing intuitively in the saxophone body. 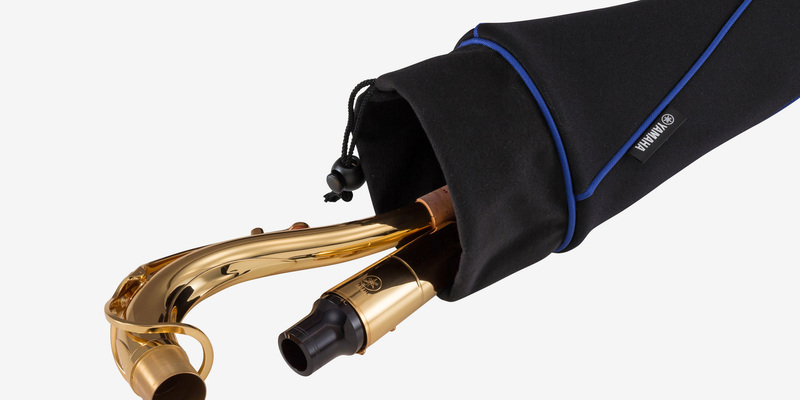 NPAS/NPTS pouches offer a way to store the neck and mouthpiece of a saxophone inside its bell when taking the instrument on the road. 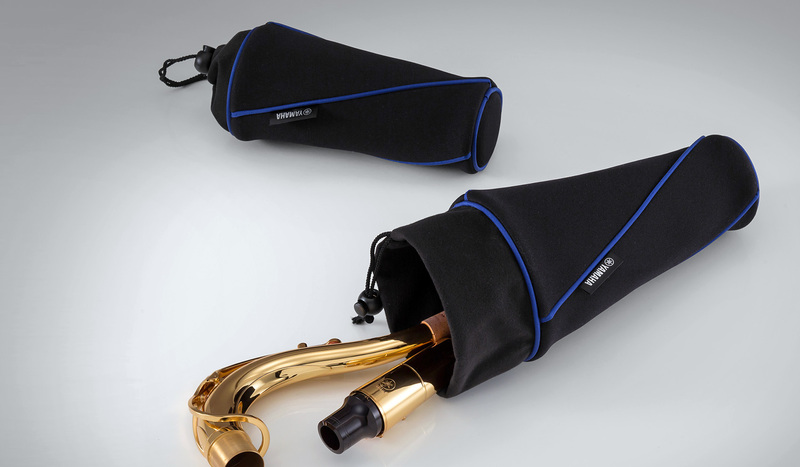 They are made of thick wetsuit material to prevent the parts from damaging each other, and their inner surfaces feature antibacterial fabric. 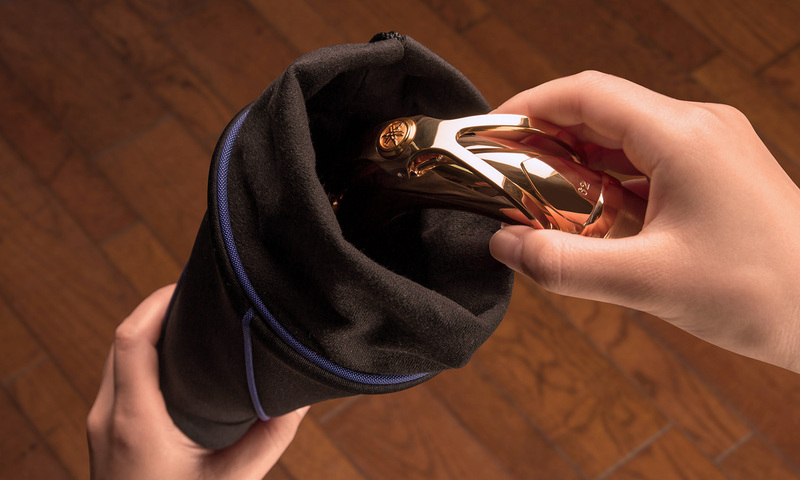 The cone-shaped pouches provide the optimal fit for the inside of a saxophone bell. 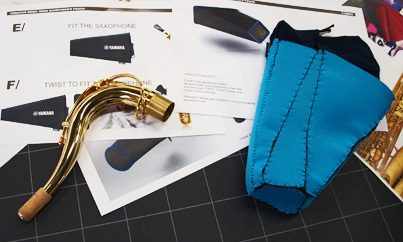 The saxophonist assembles his instrument before the show. This ritual is a nice time to get concentrate on the music before play. When he loosens the cord on the pouch and brings the golden neck into the light, His passion grows and his feelings rise for the performance. 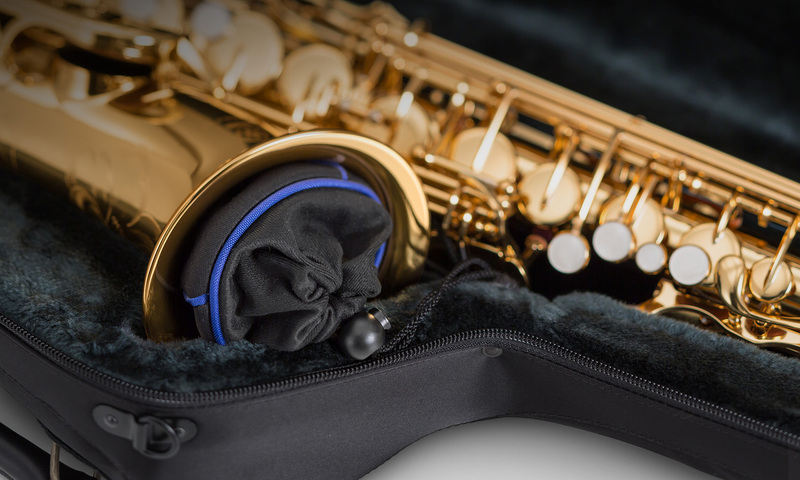 Soft cases and compact cases are convenient, but they don’t have space to store the neck and mouthpiece, so saxophonists typically wrap the parts in a pouch or cover and put them into the bell. 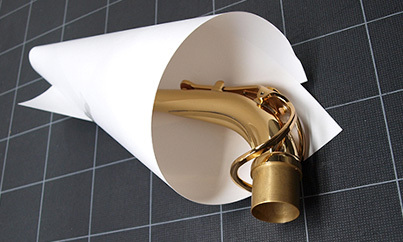 The three-dimensional design of NPAS/NPTS pouches matches the shape of the bell, giving them a subtle, natural look when they are in use.